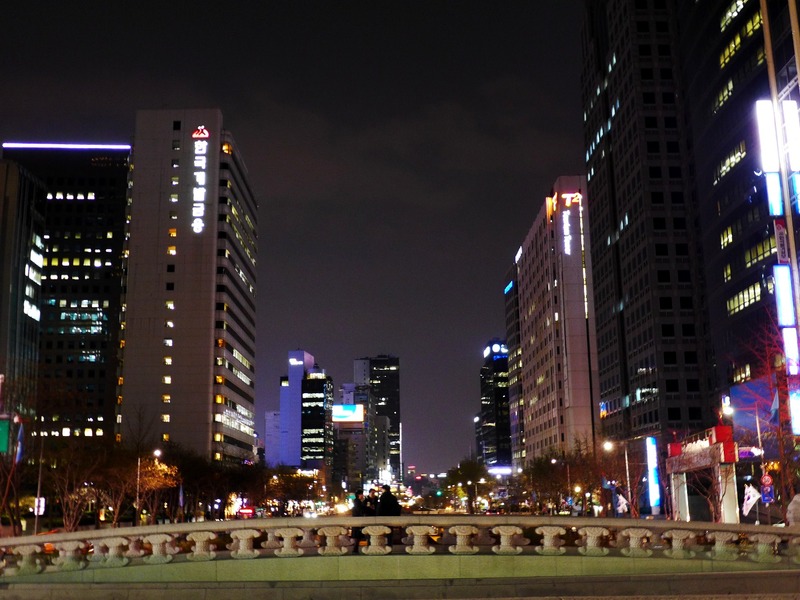 With my airline having its base of operations in South Korea, I had to make a stopover in Incheon for a rather lengthy journey. I could either stay for 12 or 24 hours in transit, but the longer one appealed to me. Why? 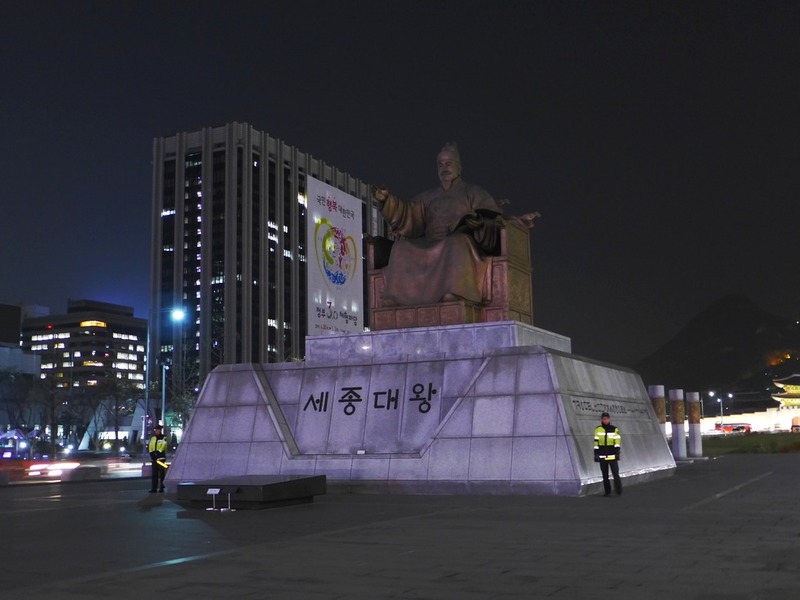 Because South Korea just had great programs for transit passengers, and you could easily spend that time in transit visiting the country’s capital, Seoul, instead of getting bored at the airport. 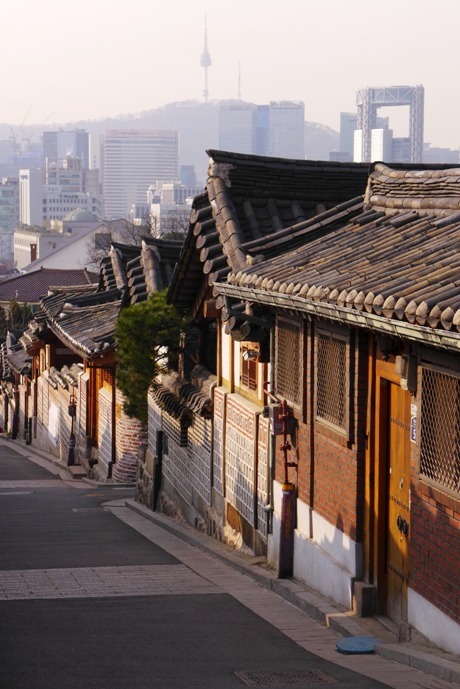 Legally, Filipinos are required to have a visa for South Korea prior to entry to the country. However, if you are in transit to the US, Canada, Australia, New Zealand or Japan, you are allowed visa-free entry for up to one month. Hence, I was induced to take a longer-than-necessary stopover. 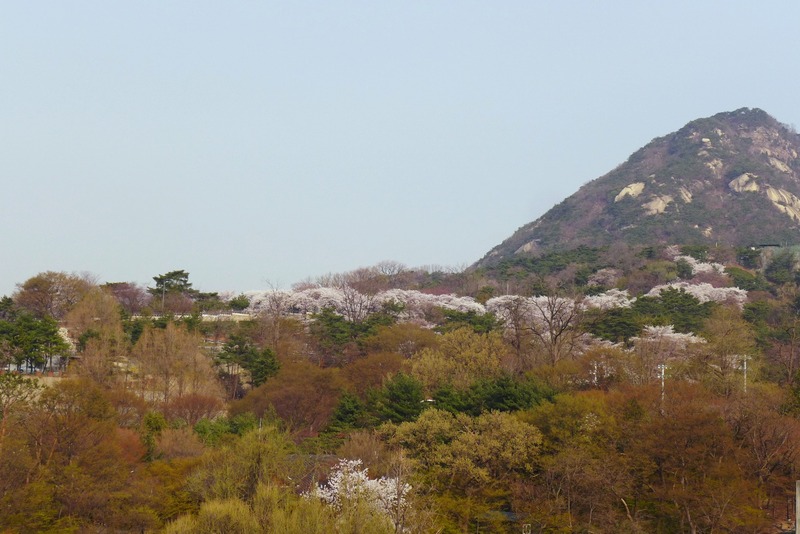 The sun was beginning to set as our train emerged from the tunnels underground to take in the first glimpse of South Korea. As with most progressive countries, the airport was located an hour away from the city, unlucky for us who were short on time. 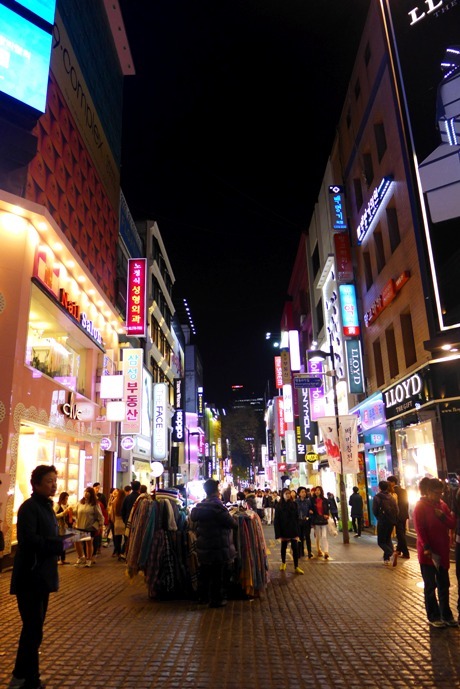 Myeongdong would be our first stop in Seoul. 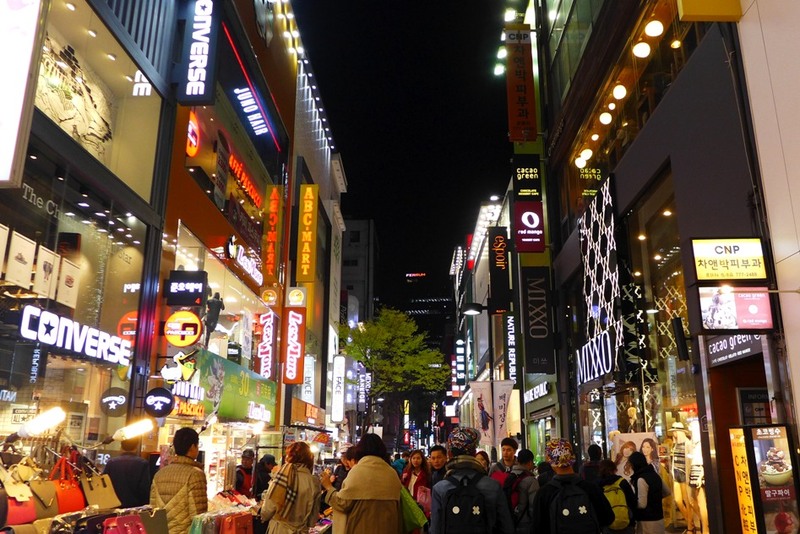 Myeongdong is a mecca for shoppers. 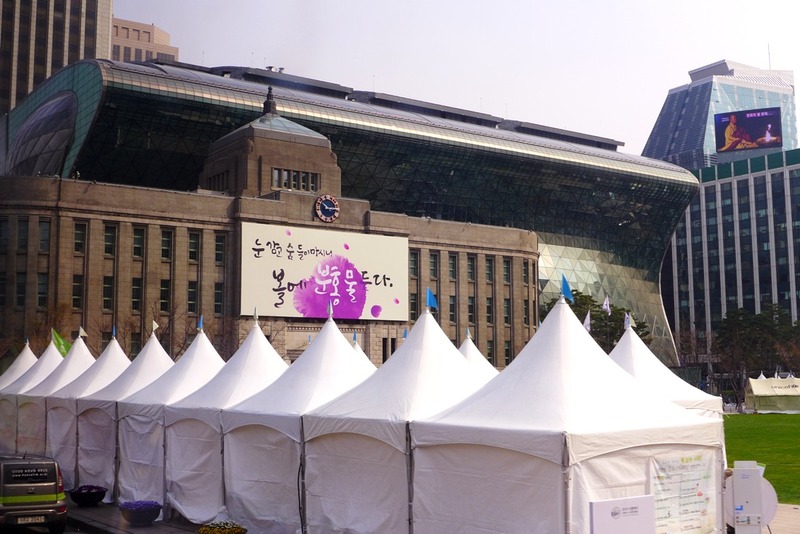 Most branded stuff could be found here, but I didn’t see much of luxury items. 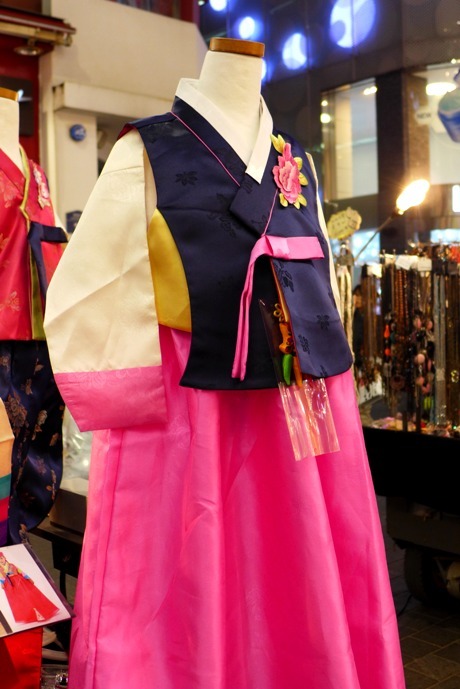 Most notable of which were stores of Korean cosmetic products, which signified Korean women’s obsession to make-up and the like. At the center of the streets were stalls selling bags, clothing or souvenir, but they were surprisingly pricey (yes, this was coming from someone who just came from “expensive” Japan). 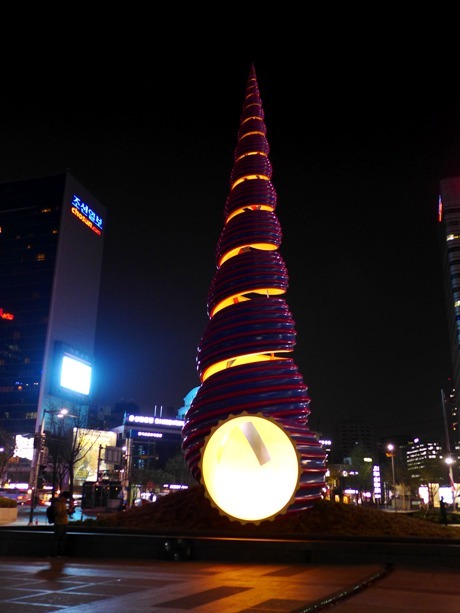 Beyond the shopping, Myeongdong is a haven for food lovers. 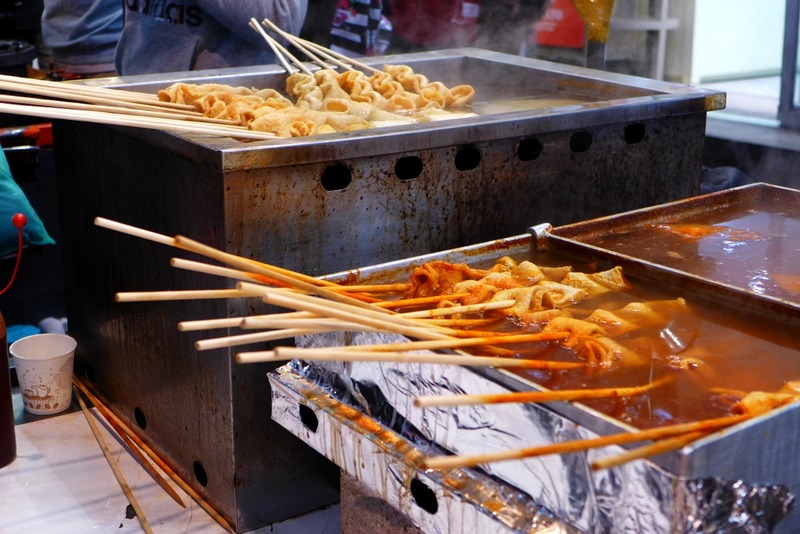 Street food stalls were a hit for both locals and tourists who braved the cold weather. 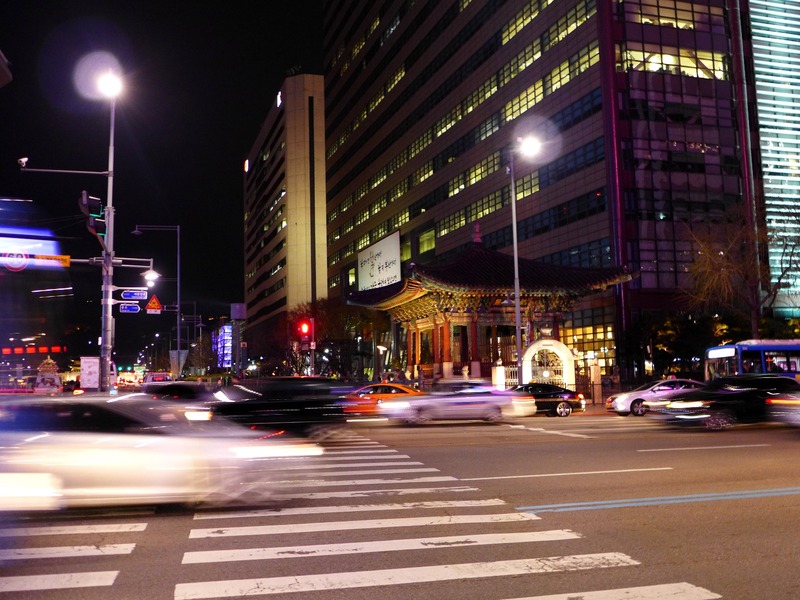 Having had no food for dinner yet, we indulged in different Korean snacks while walking along Myeongdong. 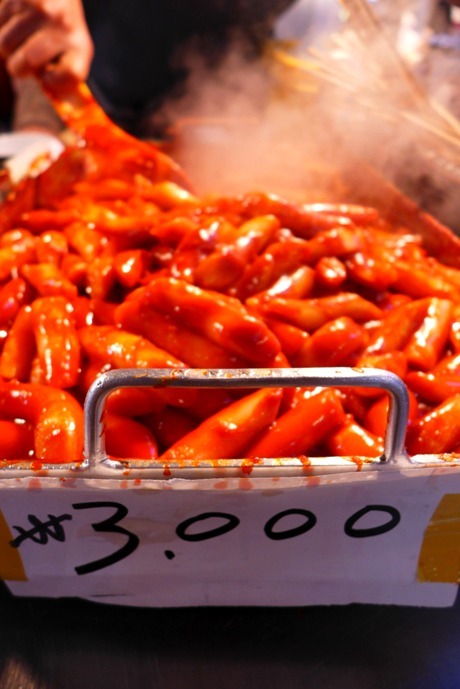 Tteokbokki was our first food to try, a plate of sticky rice cakes drenched in spicy sauce. It was good, but it was just too darn spicy. 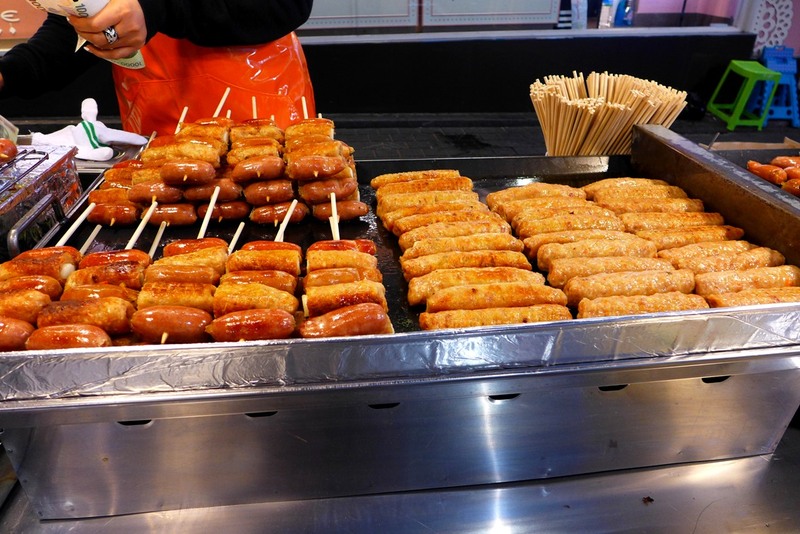 Just after finishing it, we had sausage on sticks, which was a perfect way to fill our need for protein. It was all meaty, which was great, but we barely liked the curry one. 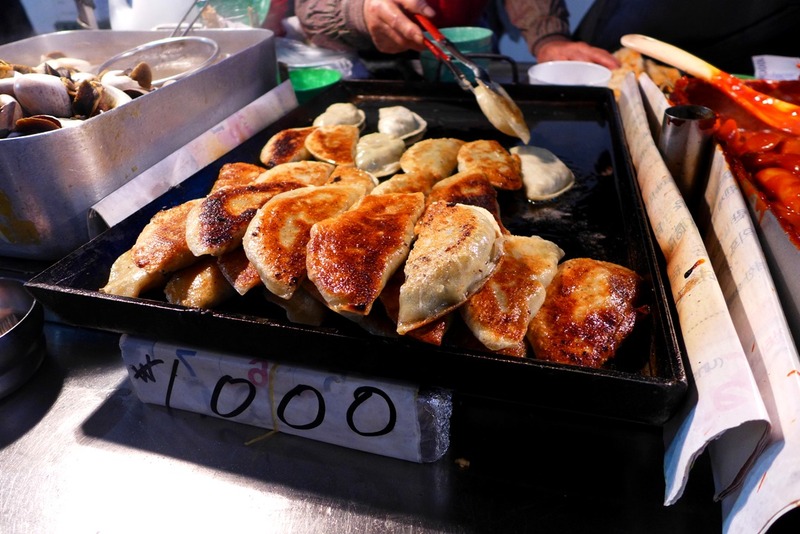 Odeng was our next snack, and I chose to have the spicy one. How daring could I get! I would have actually been enjoyable to munch on, but my mouth was almost burning in heat. 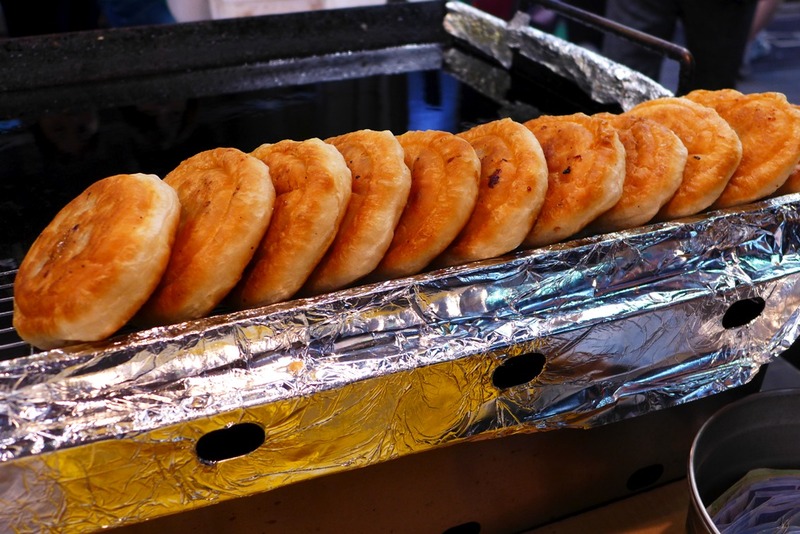 Finally, we had hotteok for dessert – one with honey and the other with cheese, but we could hardly taste the difference. 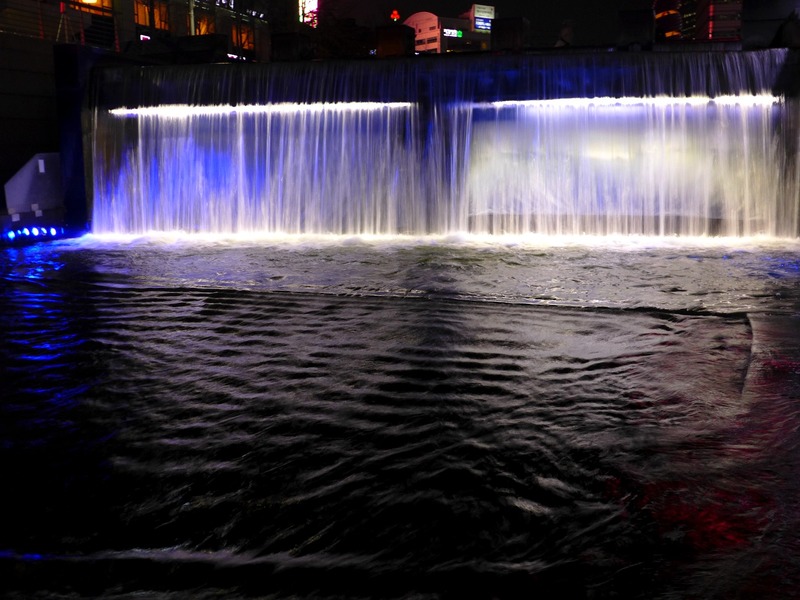 As shallow as it may sound, I wanted to see the waterfall at the origin of Cheonggyecheon Stream at night, when the lights just brought radiance to the otherwise boring body of water. 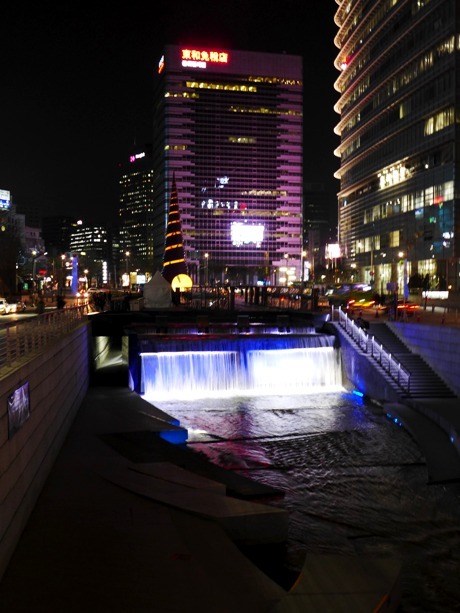 Modern buildings dotted the stream on the ground level, and progress was just present everywhere you look. 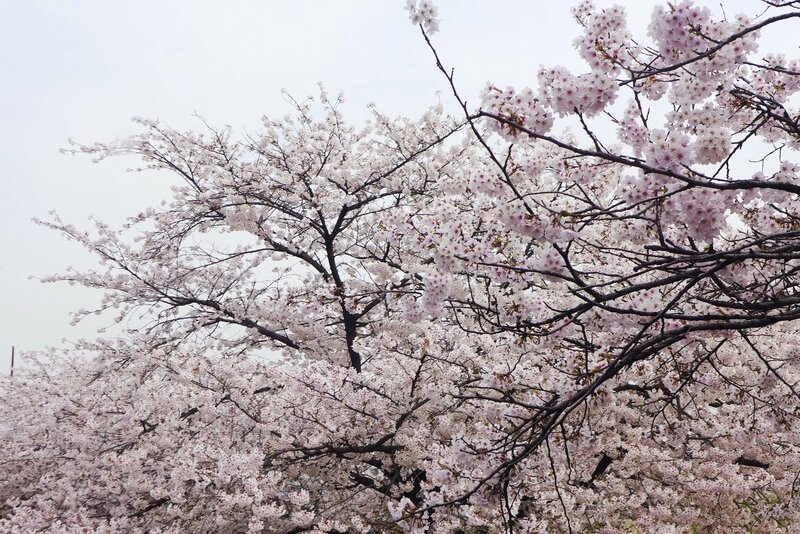 Yet, their deep-rooted tradition was still ever present in daily life. Temple buildings and palace complexes were everywhere in the city. 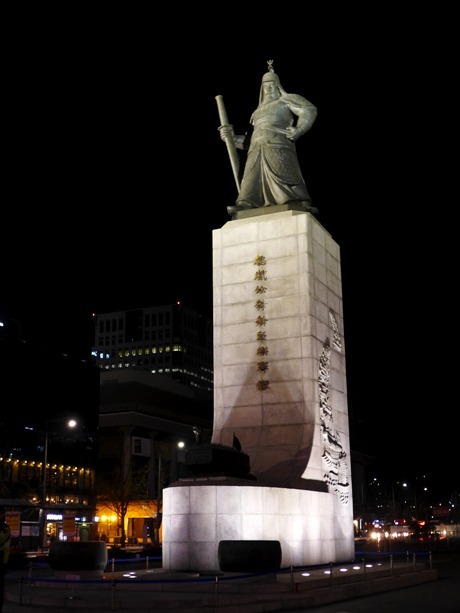 The nearby Gwanghwamun Plaza, home to monuments of two iconic persons in their history – Admiral Yi Sun-sin and King Sejong – seemed to be at the center of their commercial district. 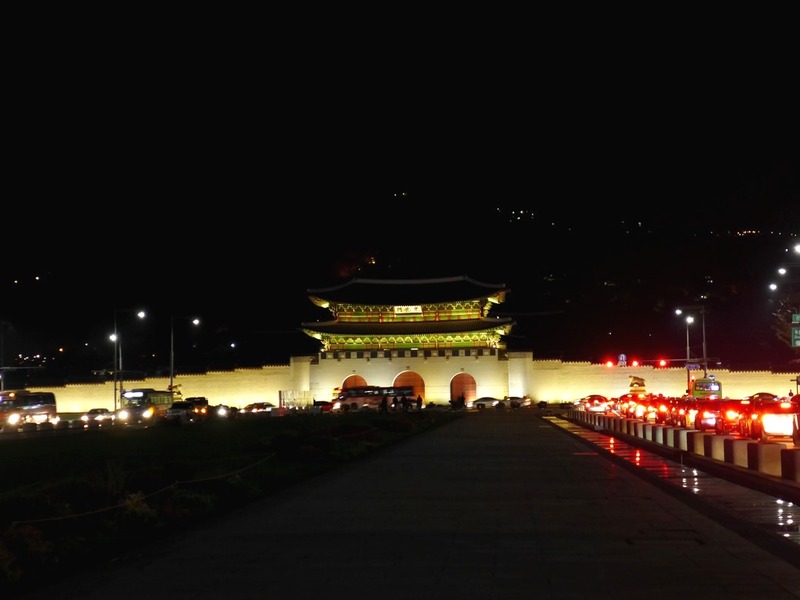 The Gyeongbokgung Palace stood just north of the square, another magnificent sight to behold at night. 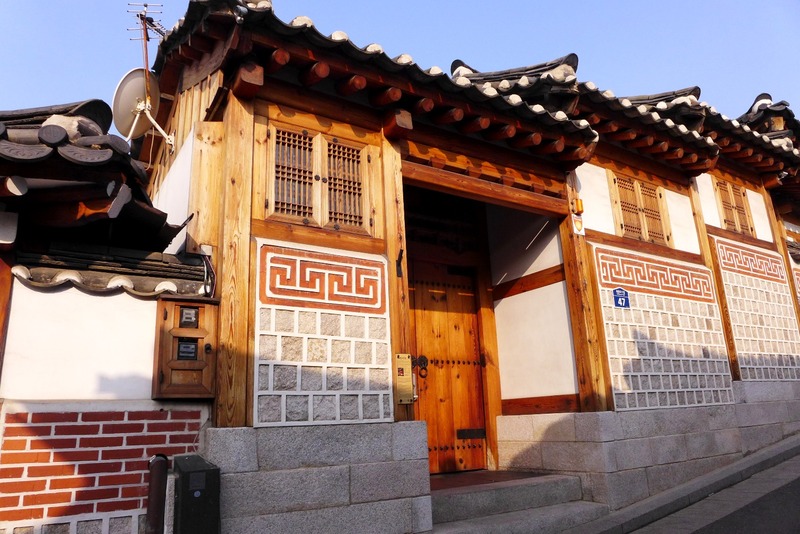 Early the next morning, we wandered around the Bukchon Hanok village, a cluster of traditional houses that are still homes to some locals. 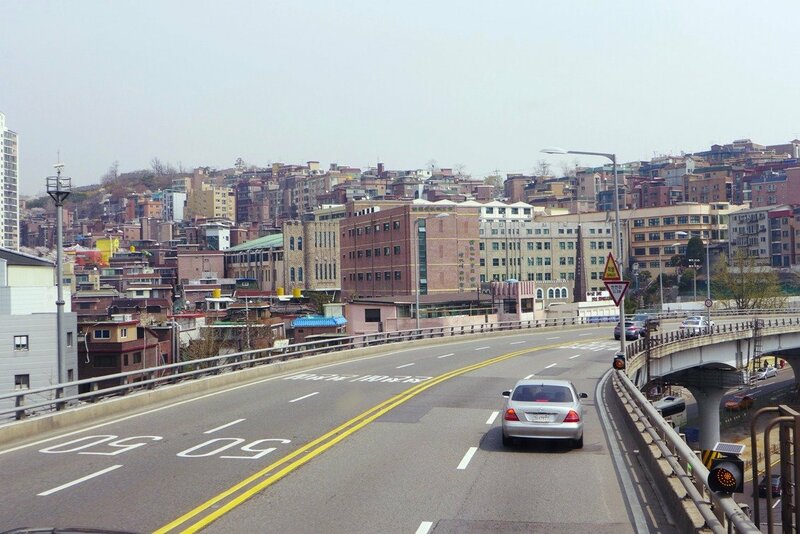 Our jump-off was Bukchon-ro 11-gil along Bukchon-ro, where we followed the marked path to lead us to the best Bukchon views designated by the tourism authority. Surely, the village didn’t disappoint. Here was where rows and rows of old houses were preserved, much like in Vigan but in such greater quantity. 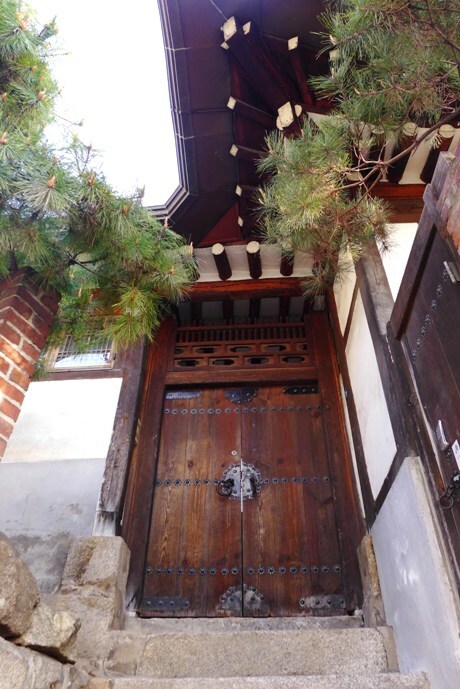 Tiled roofs, brick walls and wooden doors were all characteristic of Korean traditional houses. 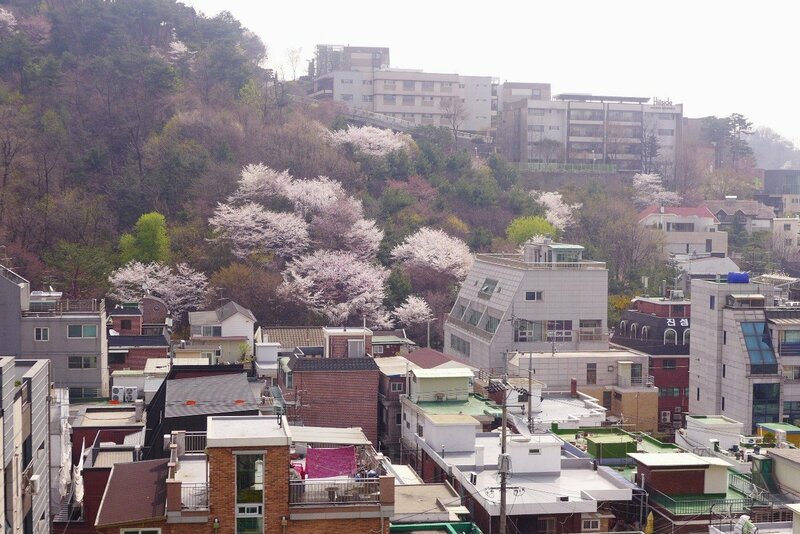 Upon walking uphill, you’d see the back view where the houses just stood in contrast to the modern buildings below and to the Seoul N Tower atop another hill. 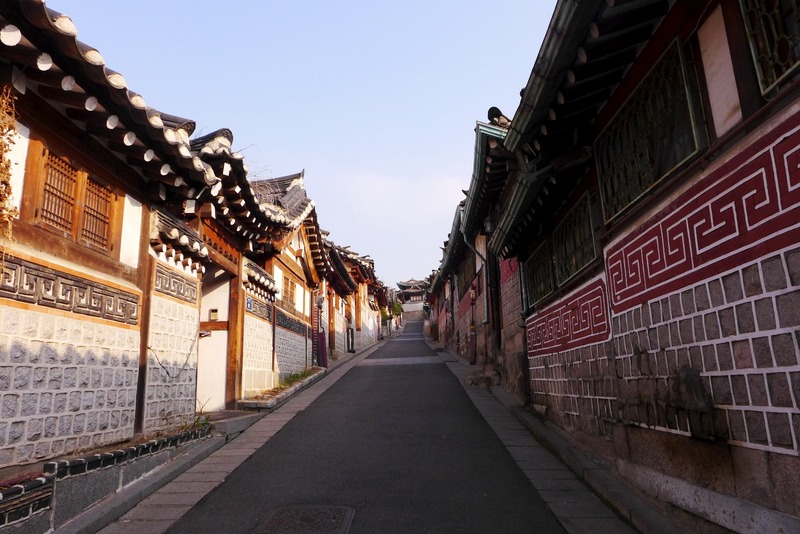 The path led us to Samcheong-ro, where boutique shops and coffee houses were the name of the game. 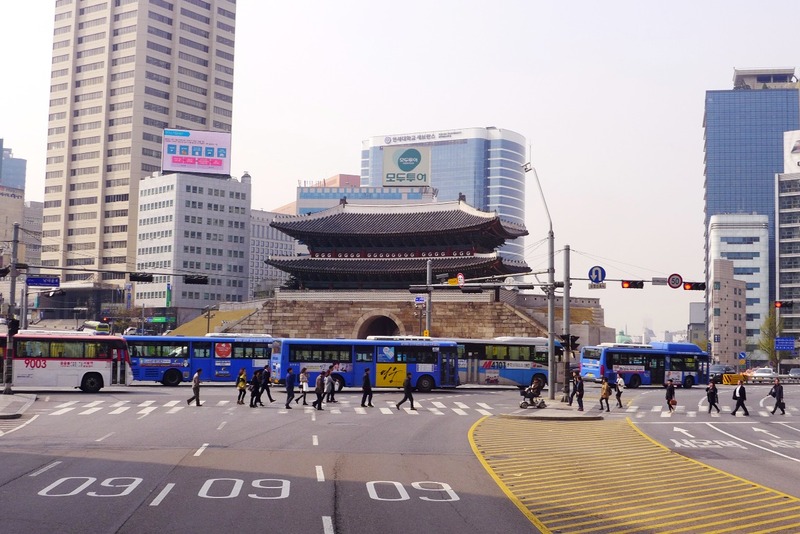 Designed as a hop-on-hop-off tour bus, the city tour bus catered to most major attractions. 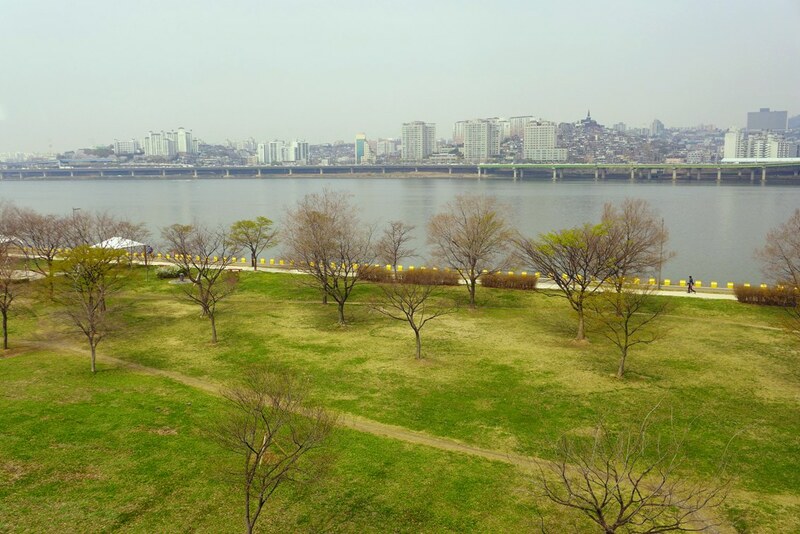 But having seen some parts of downtown Seoul, we decided to go on the panorama course to see other parts of the city, including Yeouido Island. 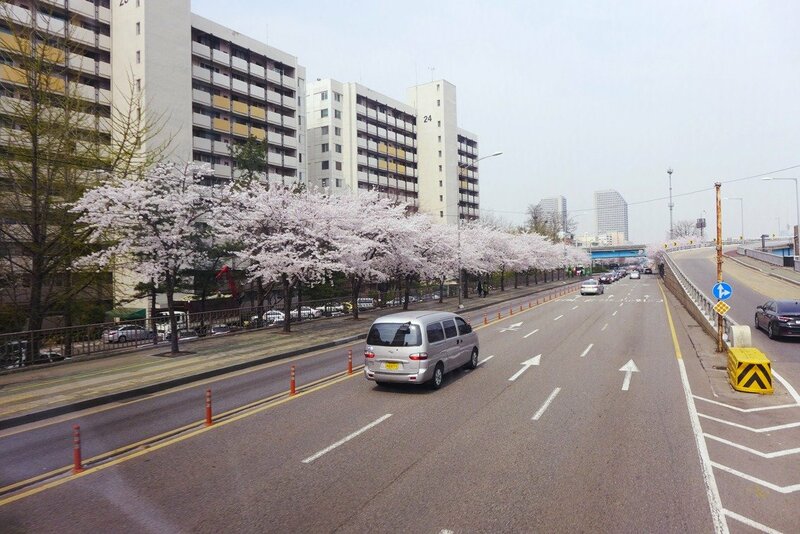 After a short loop around Myeongdong, the bus made its way uphill to the Seoul N Tower, where blooming cherry trees just made the hill so much prettier. 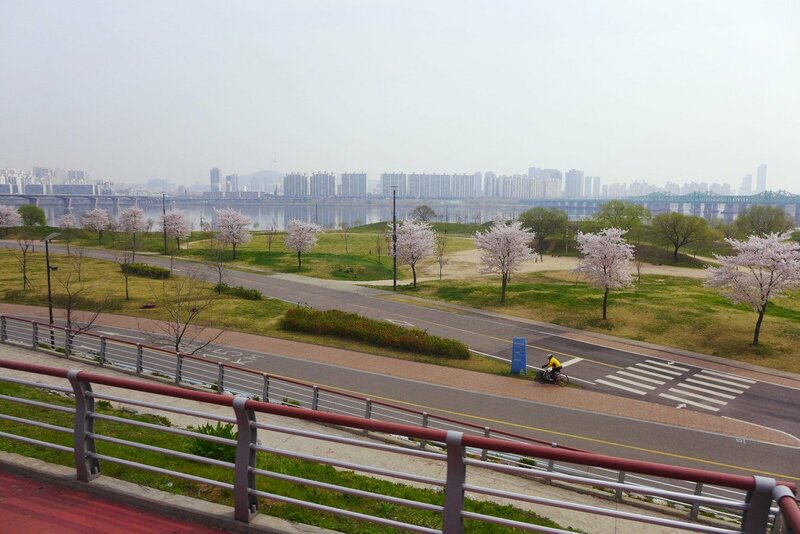 A panorama of the city could be seen even just from the window of the bus, which was great as pink trees were interspersed in the chaotic residential areas. The old and the new…City Hall version. 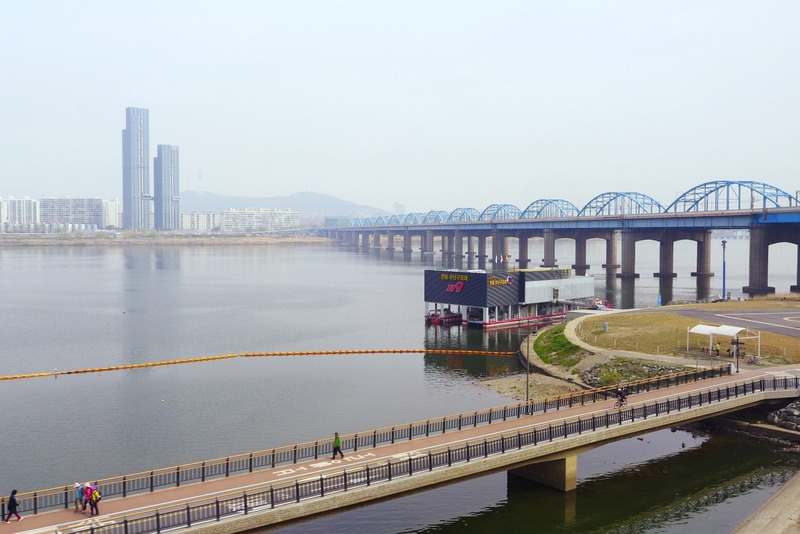 Soon, we began crossing the Han River to make our way to Yeouido. 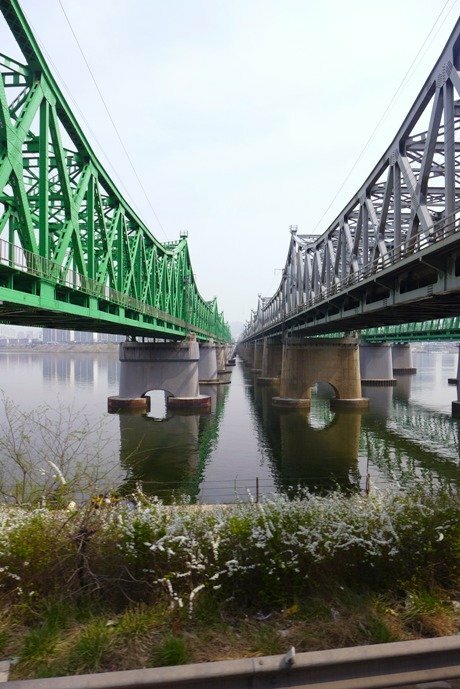 Seoul’s skyline could be seen from the island, and bridges that connect the two were abundant. 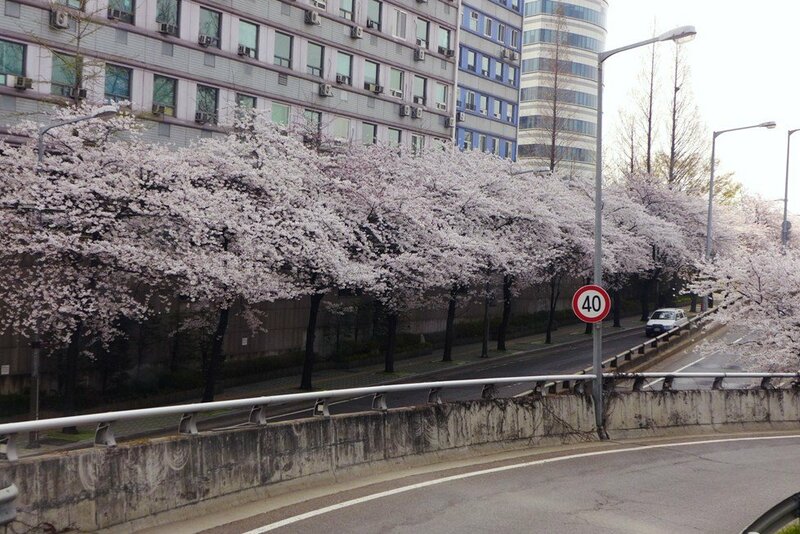 As our ride came closer to the end, we were suddenly surprised by the presence of cherry blossoms on both sides of the highway. 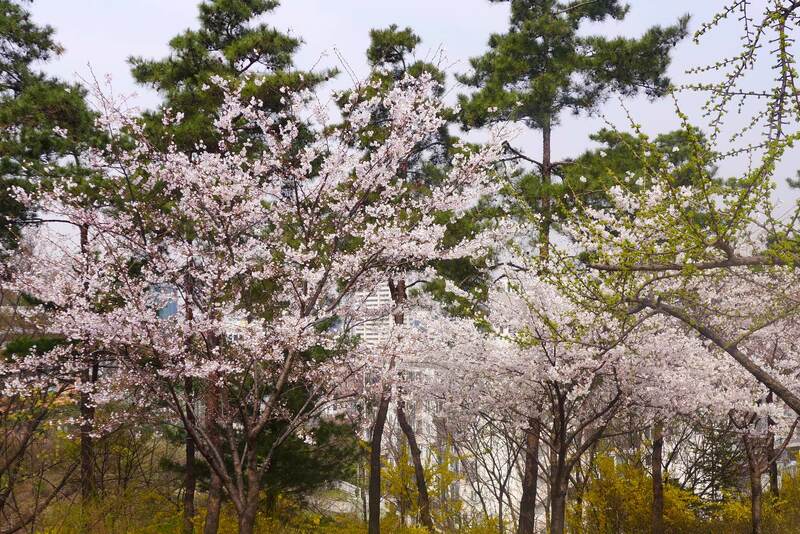 It was really very beautiful and simply breathtaking. 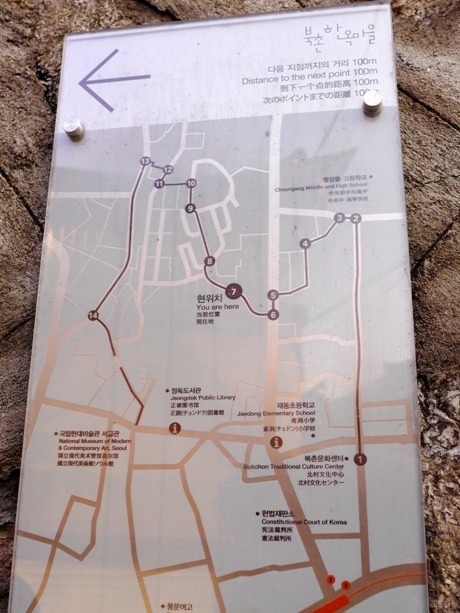 After an hour and a half, we were back at the bus stop and made our way back to the airport. 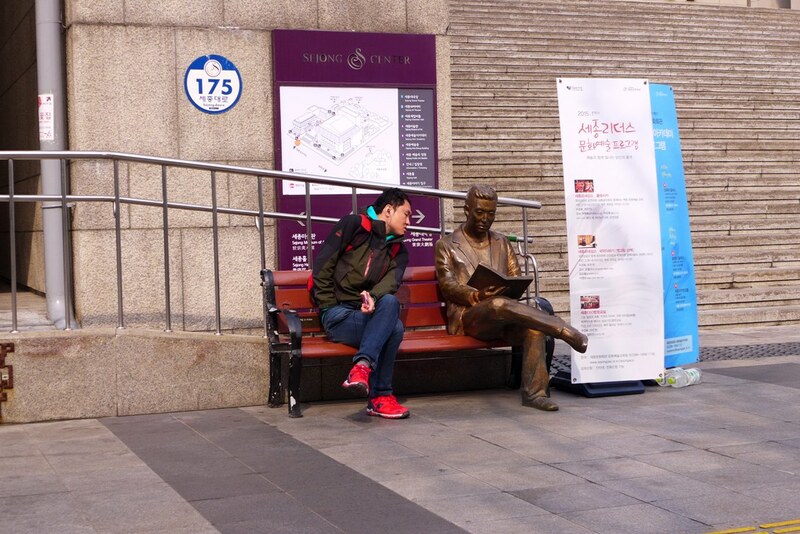 It had been a great stopover in Seoul. Happy travels!